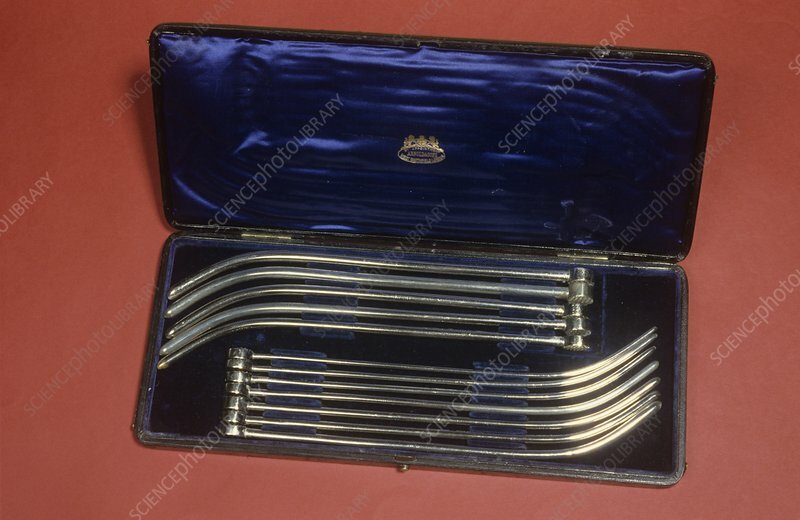 Set of urethral probes by Arnold and Sons. Probes such as these would be lubricated and inserted into a patient's urethra to check for blockages or to identify the presence of bladder stones. Arnold and Sons were a London-based surgical instrument manufacturer active between 1829 and 1929. These probes date from around the year 1870 and are silver-plated.